The center of the Financial District resides at King St W & Bay St where First Canadian Place stands now. The center of the Financial District resides at King St W & Bay St where First Canadian Place stands now. Various smaller bank buildings stood along side the Toronto Star Building. Standing at 80 King St W, the Toronto Star Building grew 22 storeys from the street below. Known as the Daily Star at the time, Joe Shuster co-creator of Superman drew inspiration from it. Interesting play on the name The Daily Star for the Daily Planet Building. After receiving many lucrative offers for the property, The Star sold the building in 1971. 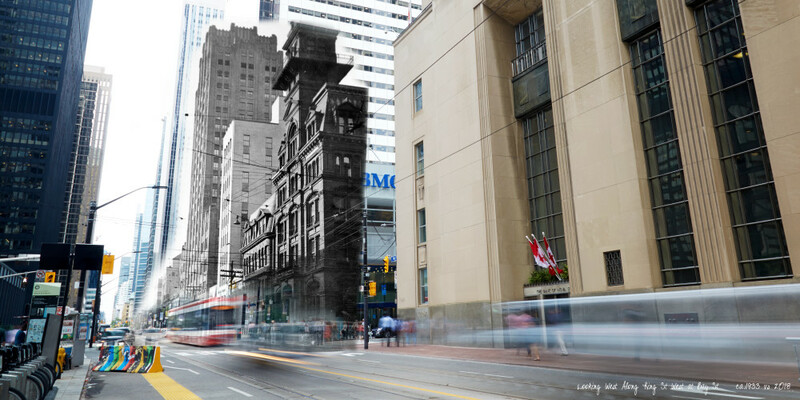 Subsequently it was torn down in 1972 to make way for the development of First Canadian Place.